Disclosure: The boys and I were privileged to see a prescreening of Disney-Pixar’s new movie Inside Out. All opinions below are our own. Oh Disney-Pixar, is it any wonder that whenever the boys ask me, “What’s your favorite Disney-Pixar movie, I can’t pick just one? I fall in love with every new movie they release: the storytelling, the characters, the colors and animation. They set the bar higher and higher each time. Inside Out is no exception. In this latest amazing animated feature, Director Pete Docter and Producer Jonas Rivera, the creative team behind Toy Story, Monsters Inc, and Up, take us inside the mind of 11-year-old Riley. Being 11 is rough, but throw moving across the country from Minnesota to San Francisco in the mix, and she’s got all kinds of emotional struggles going on. Literally. Her emotions, Joy, Sadness, Fear, Anger, and Disgust, help her maneuver these life changes as best they can. Most of Riley’s memories are filled with Joy (voiced by Amy Poehler), but when Sadness (Phyllis Smith) touches one of the memories and it turns blue, it sets off a sequence of events that lead to Joy and Sadness getting lost in Long Term Memory, and traveling through Imagination Land, Abstract Thought and Dream Productions to get back to Headquarters while Disgust (Mindy Kaling), Anger (Lewis Black) and Fear (Bill Hader) are at the helm of the Control Panel. I love the path Disney-Pixar has taken with Inside Out. There are no princesses or princes on a journey fighting villains (not that there’s anything wrong with that! ), it’s more complex than that: Inside Out gets in your head (see what I did there?) and shows the importance of how your emotions affect your actions. It is a great conversation starter for parents of teens and tweens to speak with their children about what they feel and why they feel it. With both a teen and a tween at home, I am glad both boys got to see this movie with me. 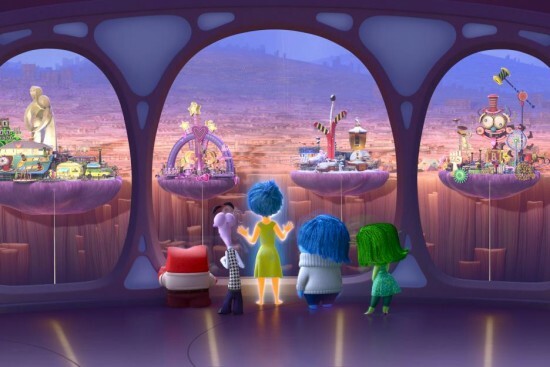 Inside Out lets us feel all the feelings. It teaches its audience that you can’t have one without the other, and that alone makes it brilliant. Inside Out hits theaters today, June 19th, and is rated PG. 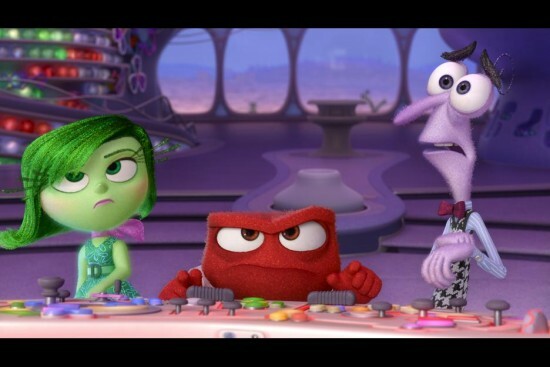 UPDATE: Disney-Pixar’s Inside Out is a great tool to motivate parents to discuss feelings and emotions with their children, particularly teens and tweens, who are already going through so many conflicting emotions. We are proud to have been a part of one such dialogue last week with Los Tweens and The Nest Miami. Check out Los Tweens’ review of the movie, as well as video of the talk we participated in here.